Alumni from the accounting program have positions of responsibility in companies around the country. They remain committed to the success of the program and frequently offer their time and expertise while serving on our Accounting Advisory Board, Beta Alpha Psi or participating in our Center for Student Professional Development panel discussions. Lewis is formerly President of the 100,000-member Disney Vacation Club, a Disney World's time-share business. Lewis, a Hammond native, has steered the club to double its size since 2003. He was awarded the university'sDistinguished Alumni Award in 2007 and spoke to incoming freshmen at ISU's opening convocation in 2008. He also serves on the president's African-American Council for ISU. [More] Elliott is President of Sackrider & Co., Inc. Since graduation, Earl and his wife, Tina, have founded and supported the O. Earl and Tina Elliott Scholarship, which is awarded each year to students who are effective leaders and have a well-documented record of community service. 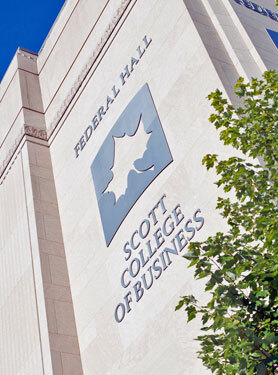 Earl serves on the Scott College of Business' Dean's Executive Council. Their son, Mark, was Networks Scholar at Indiana State and now works for Thompson Thrift Development. Dr. Dopuch is the Hubert C. and Dorothy R. Moog Professor Emeritus of Accounting at Washington University and chair of the Olin School's Ph.D. Committee. He was named Outstanding Accounting Educator by the American Accounting Association and was twice awarded the American Institute of CPAs award for outstanding contribution to accounting literature. 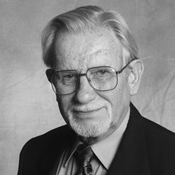 He was inducted in 2001 into the National Accounting Hall of Fame. Osburn is a partner in Greyrock Capital Group near Chicago, Illinois, where he has been since 1996. He previously worked for Continental Illinois Bank, where he held a variety of positions in middle-market corporate finance including origination, structuring, underwriting and portfolio management. He holds a BS in Accounting from Indiana State and was a member of Alpha Tau Omega fraternity while on campus. Currently, he is a member of the ISU Foundation's Sycamore Holding Group and a supporter of the Scott College of Business and Indiana State. James Pajakowski is Protiviti’s executive vice president, global risk and advisory services. He oversees the delivery of Protiviti’s services in the areas of finance and transactions, operations, technology, litigation, governance, risk, and compliance. Prior to Protiviti, he was a partner with Arthur Andersen, where he started his career in 1982. 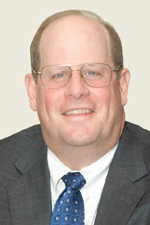 Throughout the years, he has consulted with clients in a variety of areas, including due diligence, business process improvement, enterprise risk assessment, enterprise risk management, finance transformation, financial reporting process improvement, financial investigations and the execution of internal and external audits. Pajakowski currently serves on the boards of the Chicago Chamber of Commerce and the Salvation Army in Chicago. Gary Bolinger began his career with the Indiana CPA Society in 1984 as the field activities director. His responsibilities included chapter management, relations with educators, Educational Foundation and legislative relations . He was named executive director in April 1990. In November 2001, Bolinger was named Association Executive of the year by the Indiana Society of Association Executives. And, in 1998, he received the Indiana CPA Society Chairman's Award. Both awards are given to an individual who has shown outstanding dedication and service to his organization and profession. Bolinger earned bachelor’s and master’s degrees at Indiana State University. Riley has served as Vice President and Chief Financial Officer of Goodwill Industries of Central Indiana, Inc., since 1997, with responsibilities for accounting, payroll, finance, treasury, risk management, facilities, new construction, safety and loss prevention. He is a Certified Public Accountant and previously worked at Cinergy Corporation and Arthur Andersen in Indianapolis. Riley is a member of the American Institute of Certified Public Accountants and the Indiana CPA Society and serves on the Indianapolis Chapter Board of Financial Executives International. Riley was named the 2008 Not-For-Profit CFO of the Year by the Indianapolis Business Journal and is a graduate of the Stanley K. Lacy Executive Leadership Series (Class XXVI).